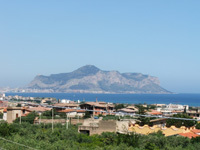 Our two story villa is on a large property, embedded in Palermo's countryside and overlooking the city's gulf. The villa is our primary residence located near Palermo, Monreale, Bagheria's Baroque villas, Cefalu', Agrigento's Valle dei Templi (Valley of Temples), Trapani's salt mills, Erice and Taormina - for those who want to learn about the island's history. The villa is only 3 km from the sea, and Sicily's most beautiful beach areas -Mondello, Cefalu', Altavilla Milicia and Mongerbino - are only 30 minutes away. 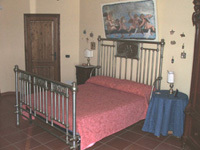 We offer our guests three stylishly furnished double rooms with bathrooms all very comfortable and with view. 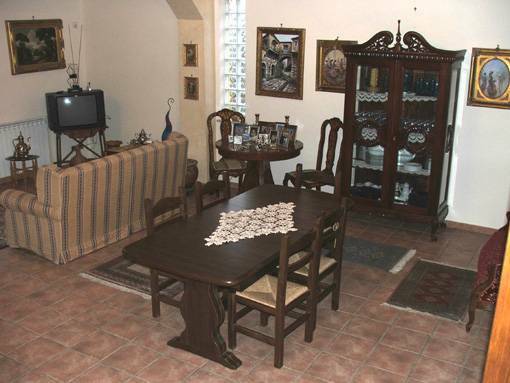 Each room is equipped with TV, ceiling fan and central heating. Regardless of the room type, we offer our guests the standard price of 25, 00 per person, per night, for a minimum one night stay. Breakfast is included in the price. Dinner can be served upon request for an additonal cost. Arrangements can be made for special packages on weekly stays and/or family vacations. Your initial deposit guarantees room booking. Please provide a valid e-mail address for payment arrangements. You will be contacted by the B&B owner for full payment immediately upon booking (prior to arrival). Your reservation is valid from the time of the initial deposit. Cancellations for full refunds can be made up to 7 days prior to the arrival date without additional charges. 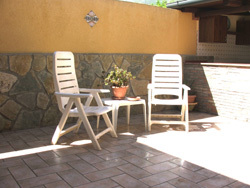 The town of Villabate is only 1 km from the property where guests will be able to find a variety of services and shops. The pharmacy, medical offices, banks and ATMs are also 1 km from the property. Other destinations can be reached from the A19 expressway also at 1 km from the property. 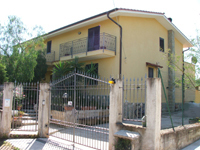 Upon arrival to the town of Villabate, it is important that you contact your host for directions on how to reach B&B. The B&B is 12 km from historic downtown Palermo, 1 km from public transportation the closest is the bus number 224 to Palermo, with frequent departures.